Perfect for any season or any reason, this velvety rich Gift Arrangement Combo, bearing three gently arching flower spikes, will add that special touch anywhere it’s enjoyed ! 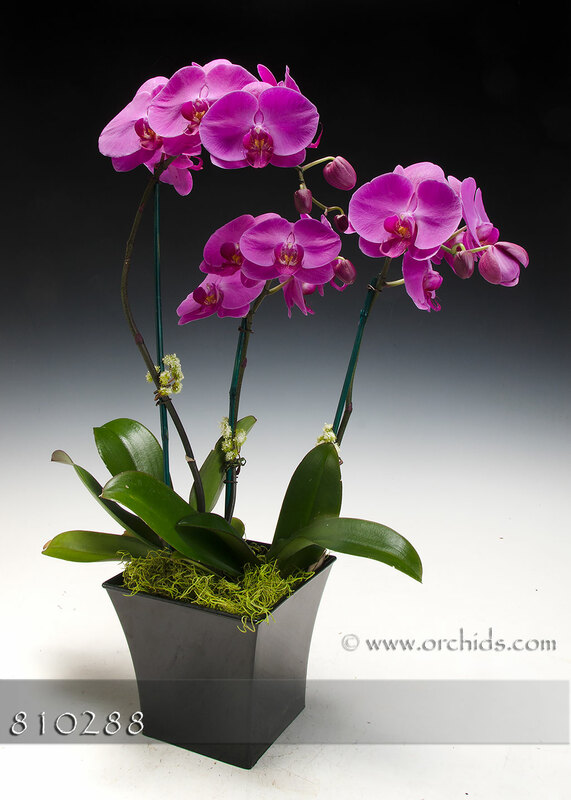 Norman’s designers will hand-select these Phalaenopsis for their abundant floriferousness and graceful presentation from among all our rich and velvety pink orchids. Tucked into our Euro modern cachepot, they will be enhanced with faux vines gently weaving among the flower spikes. Standing 29” in height, this velvety gift will be finished with a fluffy bed of jade Spanish moss.